The celebration of Constitution day ( November 26 2015) marked the revival of the debate, rather questioning of the concept of secularism, yet again. 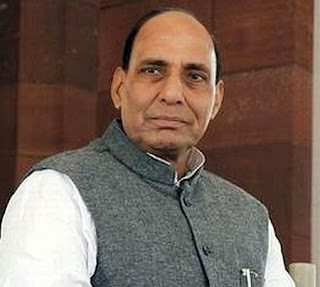 Rajnath Singh, the home minister repeated the arguments which the RSS parivar has been raising time and over again. He said that the perverse use of the term secularism is causing social tensions. As per Singh, secularism is the most misused term in the country and it is this misuse of the term which is causing social tensions. He repeated that this term has Western roots and stands for separation between religion and state. In India since its religion itself is secular such a concept is not needed here. He repeated the earlier arguments of RSS ideologues that there is no need to have the word Secularism the Preamble of Indian Constitution. Most of these arguments which keep coming from Sangh parivar have a deeper purpose. They are uncomfortable with the very concept of a secular state so they bring forward this debate in different guises. One recalls that on the eve of Republic Day January 26 2015, the Government issued an advertisement in which the words secular and socialist were missing. The argument put forward after a strong protest was that these words were inserted into the Preamble during the Emergency were not there originally. The point however is that the Indian Constitution has all the provisions for secular values in different clauses of our Constitution, still in the face of rising communal politics this addition to the Preamble made in 1975 merely reinforces the goals of our Constitution. Is secularism a Western concept? It is true that this value originated in the Western World but the context of the word is not mere geographical it has all to do with the process of modernization, the rise of industrialization and modern education accompanying the process of abolition of kingdoms, feudal values. It runs parallel to coming of the society with equality of all human beings. This process comes in the wake of a change in societal dynamics whereby the hold of organized religion, the clergy, on social affairs starts diminishing or is abolished altogether. This process of secularization heralds the beginning of the modern society where religion, the organized institution in contrast to other facets of religion, is relegated to the margins of society. The argument that India is different as here there was no organized Church, this concept is not needed in India. As far as the scattered clergy of Hinduism is concerned, it played the same role, allying with the feudal powers to sanctify the divine power of kings or landlords, is no different. For that matter whatever be the religion, the clergy does play the same role in every pre-industrial society. It is a bane of South Asian countries that clergy or ‘politics in the name of religion’ keeps dominating the and acts as an obstacle to the strengthening of democratic values and relationship of equality. The assertion that the Indian religion, Hinduism is secular, defies all sociological understanding of India, Hinduism and society here. Hinduism, of course is not a Prophet based religion, but is dominated by the Brahminical clergy, which was part of the ruling social powers. Hindu clergy, namely the Brahmins had the same role in giving sanctity to the feudal lord-king as any other clergy had, although in one sense the most visible of this is the organized Catholic Church and so that becomes the most cited example. In the BJP scheme of things the religions of Indian origin, Buddhism, Jainism, Sikhism are all the sects of Hinduism. This is a political elaboration; not a theological one as all these religions are full-fledged religions as far as scriptures, rituals and values are concerned. This is deliberately done to create ‘the other’ in the followers of Islam and Christianity. So to say that the religions of Indian origin are the only Indian religions is faulty again. Religions don’t have nationality, they are universal. The origin of religion in that sense is incidental. Look at the spread of Buddhism. Look at the followers of these religions trotting all over the globe. The very formulation of Indian versus foreign religion is a political construct. Hinduism does have different sects like any other religion having many sects. India has many religions thriving here. What are Indian religions is well answered by Gandhi. Gandhi states that in India “Apart from Christianity and Judaism, Hinduism and its offshoots, Islam and Zoroastrianism are living faiths.” (Gandhi’s collected works, Volume XLVI p. 27-28). This is very contrary to the RSS-BJP formulation of Islam and Christianity being foreign religions. It is true that the practice of secularism has been tardy in India due to the weakness of the political leadership and due to the absence of effective land reforms. In tune with that, the RSS parivar has been coining different terms to criticize secularism as such and to hide its total opposition to religious pluralism and secularism. First it began with the term appeasement for the affirmative policies of the Congress, and then went on to coin the term pseudo secular and lately sickular as a derogatory term for those trying to uphold the Constitutional values of secularism. The BJP slogan of ‘Justice for all and appeasement of none’ in a way underlines the way Hindu nationalism will operate, with no concern for the weaker religion minorities. Its agenda has been structured around identity issues related to a section of Hindus. Earlier the major issue used on the ground was the Ram temple, and today and the ‘Cow as mother’ is the reigning identity issue. ‘India First’ the highly emotive phrase coined by Prime Minister Narendra Modi as a substitute for secularism is a clever maneuver to bypass the word secular, which is a big obstacle to the agenda of Hindu nationalism of the RSS-BJP. While the freedom movement was totally diverse, plural and secular to the core the ideological foundations of today’s BJP lay in the Hindu nationalism as brought up by Savarkar and later by RSS. This begins with the formulation of India as a Hindu nation from times immemorial, in contrast to the self understanding of Indian national movement that ‘we are a nation in the making’. Although the BJP currently has no choice but to uphold the Indian constitution it is trying to subvert the spirit of secular values by various means. And that’s what the RSS pracharak Rajnath Singh is doing as a minister in the Indian Government! Such distortions of the spirit of Indian Constitution need to be combated at the ideological, social and political level.